Marco’s Trio is a very Dynamic and Unique Cutting-edge Band. CHARISMA is a Power Packed Experience of Emotions and Excitements based on a large repertoire of Original Jazz Music and Revisited Jazz Standards from the most Famous Composers as well as each musician Unique composition.Strictly speaking Marco has brought together in this Compact Trio, some of his most talented musicians with whom he has shared the stage on many occasions.CHARISMA is run under Marco Marzola Leadership and if want to get a real “EXPLOSION of SENSES“ the real “THING“ you must see the Trio in Action. 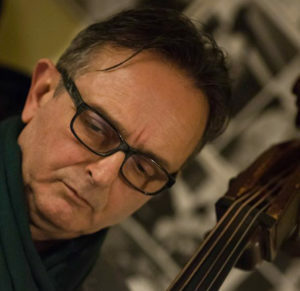 Jazz Musician and Bandleader (Contrabass & Electric Bass) Based in London. 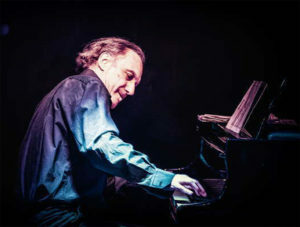 He shared the stage and recorded with the most representative musicians of the international Jazz Scene, such as: Betty Carter, Jimmy Lovelace, Tommy Tarantine, Steve Turre, Bruce Forman, Jimmy Cobb, Tommy Campbell, Tony Scott, Craig Handy, Jimmy Owens, George Cables, Harold Land, Sherman Irby, John Hics, Ed Cherry, Jesse Davis, Bruce Williams… Tournée: Europe, USA, Japan. Key Moment 2016: Guest player for International JazzDay at The London Shaw Theatre. 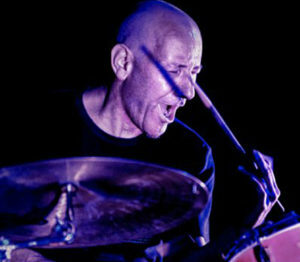 Daniele “Lele” Barbieri has played classical musical activity with various percussion groups while at the same time he performed with musicians such as: Lee Konitz, Steve Grossman, Lew Tabakin, Karl Potter, Sonny Taylor, Steve Turre, Craig Handy, Bruce Forman, Ed Cherry and in 1987 replaced Max Roach in Bassano del Grappa by playing alongside Dizzy Gillespie, Milt Jackson, Tete Montoliu, Johnny Grifn, he also perform with the legendary guitarist Pat Metheny.